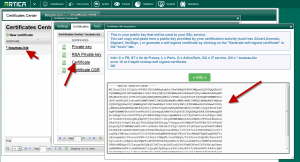 When using MAN-IN-THE-MIDDLE ( SSL decryption ) you need to install the proxy certificate inside browsers. 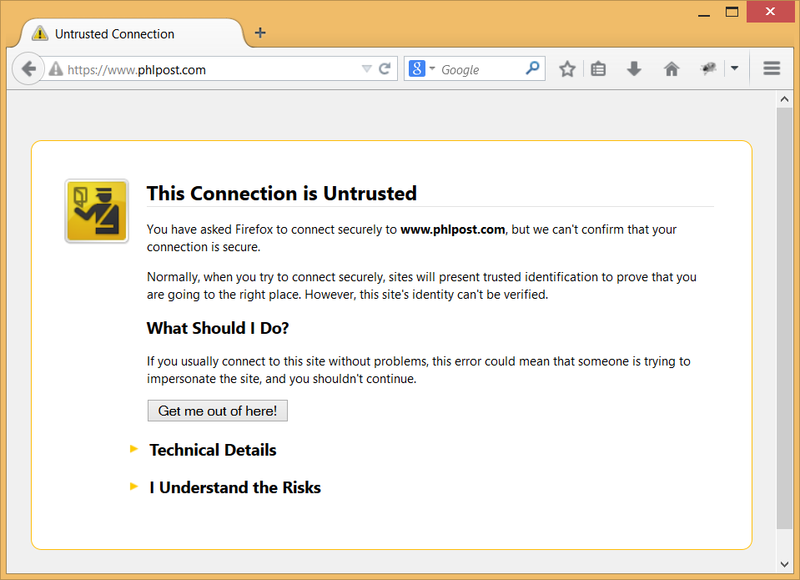 This is mandatory to force browser trust the proxy certificate in order to avoid certificate Warning in browsers. 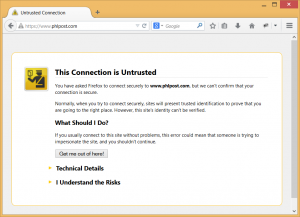 You need to import in browsers the certificate used by the proxy. 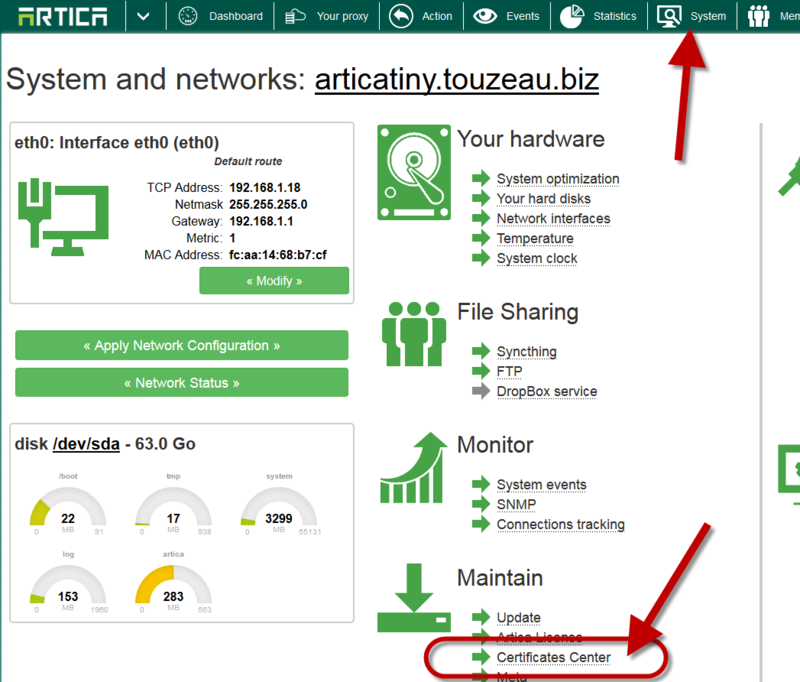 Select your certificate and click on “Certificates” tab. 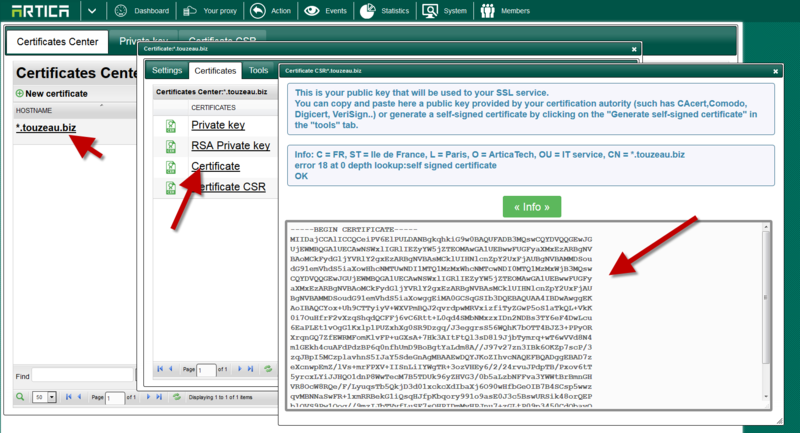 Click on the “Certificate” Link in order to display the content. 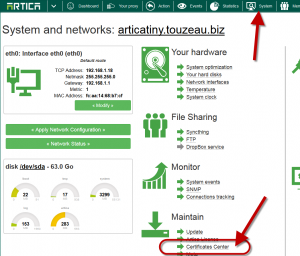 Now you can manually import it into your browser or deploy it trough scripts on all workstations. ← Why HTTPS filtering exclusions in SSL rules do not work when Proxy intercepts HTTPS connections transparently ?